Amongst experienced hikers from all corners of the world, debates can be heated over which of New Zealand's nine Great Walks is the most spectacular, most scenic, most mind-bogglingly beautiful—pick your superlative. The 32 kilometer, 2-3 day Routeburn Track hits all marks for many in-the-know trekkers fortunate enough to wander its lush valleys, sparkling blue and green lakes, dramatic peaks, and thundering waterfalls. The trail begins (or ends) 25km north of Glenorchy, a tiny pastoral town just north of adventure capital Queenstown and meanders past the towering pinnacles of Sugar Loaf, Mt Erebus, Emily Peak, and Conical Hill, passing by literally dozens of waterfalls. The last few hours involve a mostly gentle ascent that feels less so after the work your hamstrings have completed. The last major waterfall is apt reward; catch it in the right light and you just may be fortunate enough to glimpse its double rainbows arcing through the mist. Try to save some extra time and camera battery for this special place. The trail ends at The Divide linking up to State Highway 94, which curves northwest up through the Homer Tunnel culminating at the Milford Sound. Composed of deep waters rippling with the soft, lush texture of dark velvet and mist-haloed Mitre Peak casting its imposing reflection on the surfaces glimmering below, the stunning Milford Sound imbues visitors with a sense of wonder and awe nearly without parallel. Slicing into its depths with a paddle from a kayak is like cutting into silence personified—its mysterious carved fiords and striated layers of the past carved from hundreds of years of ice erosion seem to resonate a stillness from within. Rosco's Milford Kayaks and Fiordland Wilderness Experience both offer guided kayak trips through the sound; freedom rentals are not available. Rosco's six-hour "Morning Glory" paddle to Anita Bay at the edge of the Tasman Sea is a beautiful way to experience the sound and have a good chance of spotting wildlife like seals, dolphins and penguins (in season) up close. If you're interested in directing a few of your tourist dollars toward preserving the delicate ecology of the Milford Sound for future generations, the Sinbad Sanctuary Project is an excellent initiative developed by a partnership between the Fiordland Conservation Trust and the Department of Conservation to establish a predator control program to repopulate the sound with native bellbirds, tui, kiwi and whio (blue duck). The 175-kilometer Great Taste Trail stretching from Nelson to Kaiteriteri on the sunny northern coast of the South Island could give similar regions on the Mediterranean a run for their money. From the expansive views over Waimea Estuary and the Western Ranges to the custom-built bridge over Waimea River to Rabbit Island, this trail offers a plethora of stunners in the scenery department. And then there's the wine. And more craft breweries per capita than anywhere else in the country. Add quaint waterfront and vineyard-ensconced accommodation, and all in all it's an awesome way to see, taste, smell and touch this wonderful corner of the planet. Spend a day on the Stoke to Brightwater section, making special stops for the organic biodynamic vineyards of Richmond Plains in Richmond and Kaimira in Brightwater or pedal the whole trail over several days. With 85% of Stewart Island protected as part of Rakiura National Park, it's an obvious choice for anyone passionate about the environment to embrace with the utmost tree-hugging joy. Rakiura means "glowing skies" in Maori, and it's an exceptional place to observe the sparkling southern hemisphere constellations unobstructed by artificial light, or even the shifting colors of the aurora australis seasonally. There's nothing between Stewart Island and Antarctica but the vastness of the ocean. Because of the lack of stoats, ferrets and weasels on the island, it houses a diverse population of birds. Tui, kaka, bellbirds, weka, robins, and around 20,000 kiwi all thrive here, as well as waterfowl like shearwaters, penguins and majestic soaring albatross. The diminutive but even more ecologically impressive Ulva Island is a short water taxi or ferry from Golden Bay (ferry runs thrice daily at 9 am, 12 pm, and 4 pm) and has been a protected bird sanctuary since 1922. 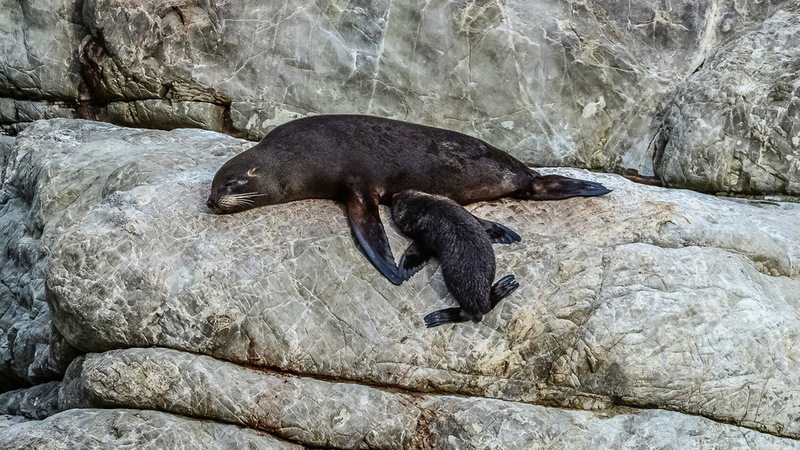 Wildlife observation and hiking are the main activities on Stewart Island; the three-day Rakiura Track covers 39 kilometers and offers some great opportunities to spot fur seals, sea lions, and, on a fortunate occasion, a leopard seal. Portions of the trek can also be completed as day hikes. For those truly seeking to escape the beaten path, the 10-to-12 day, 125-km North West Circuit Track is a legendary coastal trek for the intrepid, prepared and fit adventurer. There are myriad reasons for an environmentally conscious traveler to make a stop in the breathtaking coastal town of Kaikoura, on the northeast coast of New Zealand's South Island. Known as one of the best places in the world to observe marine wildlife, Kaikoura's waters teem with sperm whales, dusky dolphins, fur seals, and sometimes even orca and humpback whales. The community here has a reverence for the preservation of the natural environment as well as the cultural heritage that other tourist-thronged regions with delicate ecosystems would do well to emulate. Five years ago Kaikoura became the first destination on the planet to earn a Gold Community certification from EarthCheck for its sustainability initiatives. Criteria like greenhouse gas emissions, water and energy consumption, and air quality are used to monitor environmental impact, and scientists and conservation experts work hand in hand to innovate strategies to reduce resource consumption. 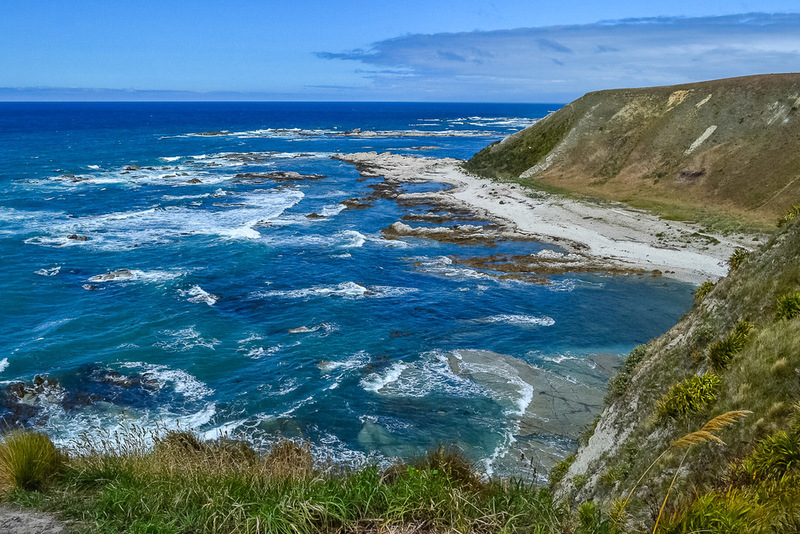 While in town be sure to wander the 2-to-3 hour Kaikoura Peninsula Walkway which begins with a seal colony and hugs the edge of rugged sea cliffs descending to raw, rocky beaches and windswept hillsides. Tourists are often disappointed when they discover that the Department of Conservation puts a limit on the number of people who can camp/stay overnight in huts on New Zealand's Great Walks. Their incredible popularity with hiking enthusiasts worldwide means that during the summer booking ahead—sometimes months ahead—is a necessity. But sustainability is the impetus here—these locations will only remain pristine if we protect them as the invaluable resource they are. The Kepler Track in Fiordland is a perfect example of conservation in action—it's popular but never feels crowded; it's well-maintained but retains its identity as a challenging, rewarding, and staggeringly beautiful alpine wilderness adventure. The hike begins along the shore of Lake Te Anau at the control gates of the Kepler Track parking lot, five kilometers from the town of Te Anau. The trail is a 60-km loop that takes 3-to-4 days to complete. The walk passes huge limestone bluffs, impressive ridgelines with views of fiords, Lake Te Anau, the mist-ringed Murchison Mountains, and eventually the shifting blue glass facade of Lake Manapouri and the gorgeous views from Moturau Hut, where most trekkers spend the final evening. 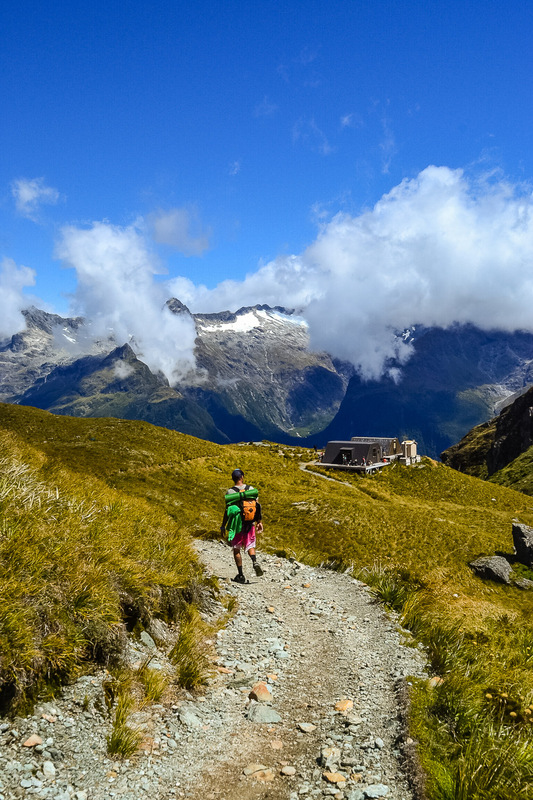 During the Great Walks season of May-to-October all huts and campsites must be booked in advance, and huts on the Kepler, Milford, and Routeburn tracks really do book up months in advance, especially in January and February. If you haven't planned ahead, a day hike from Lake Te Anau past Brod Bay to the Luxmore Hut is a rewarding alternative. It encompasses a lengthy ascent but it is shaded by beech forest all the way until the forest opens up to reveal panoramic views across the fiord. This section can be completed in 6-to-8 hours round-trip. A wonderful project to restore the ecology of the Kepler Track is Kids Restore the Kepler, in which Fiordland students pair with the Department of Conservation and the Fiordland Conservation Trust to restore indigenous birdlife to the track. The Kepler is a good place to catch a glimpse of the beautiful and colorful karearea (a New Zealand falcon).